When you think of bar cookies, you probably think about blondies and brownies before any other type of cookie. This is fair, as they are some of the most popular bars to bake, but they’re also not the only bar worth baking. These Raspberry Almond Bars are tender, buttery bars that are unique in a sea of brownie-like cookies. 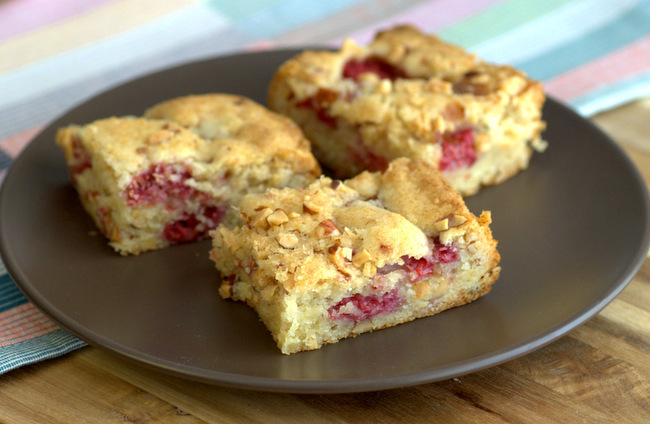 They have a softer, cake-like texture, and they are loaded with fresh raspberries and crunchy toasted almonds. 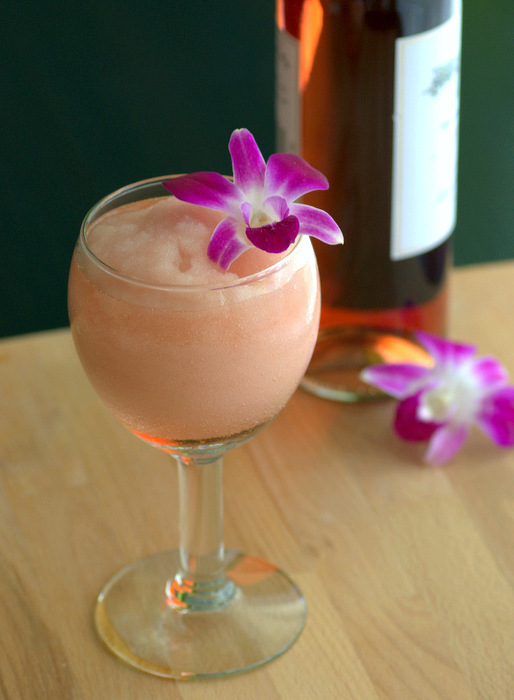 For a bar that is so easy to make, this is absolutely delicious! The bars start with a cake-like batter that contains almond meal, in addition to chopped, toasted almonds. The almond meal gives the bars a slightly denser texture, but also contributes to the overall tenderness of the cookies. There is also a hint of vanilla in the mix, which is a nice pairing with the berries. I used fresh raspberries and recommend that you do the same for best results. If you only have frozen raspberries, be sure to use them from frozen and toss them in a little flour before stirring them into the batter to prevent them from turning everything pink. Frozen raspberries also may require to to extend the baking time by a couple of additional minutes. These are ready to eat almost as soon as they come out of the oven, though I do recommend letting them cool down to room temperature to make slicing easier. The bars keep well and can be stored in an airtight container for a couple of days after baking. If you like them – and I have a feeling that you will – keep in mind that it would be easy to add some additional flavors to this recipe for variety. 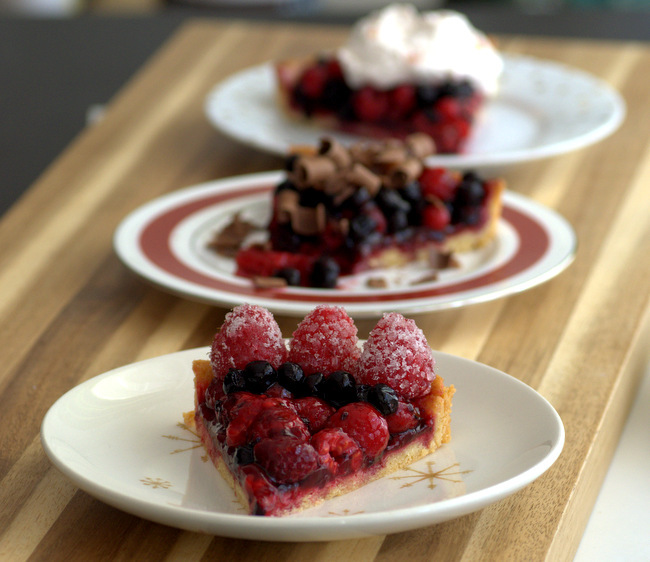 Lemon zest would brighten up the berries, while a handful of chocolate chips would add some richness that contrasts with the fruit. Preheat oven to 350F. Lightly grease an 8Ã—8-inch baking pan. In a small bowl, whisk together flour, almond meal, baking powder and salt. In a medium bowl, whisk together butter and sugar until light. Beat in egg and vanilla extract. Add flour mixture and mix on low speed until just combined. Fold in raspberries and 6 tbsp toasted almonds. Dough should have a cookie dough-like consistency. Spread dough into prepared pan using a spatula to push it into the corners. Sprinkle remaining 2 tbsp toasted almonds on top of the dough, then sprinkle with coarse sugar. Bake for 25-30 minutes, or until top is lightly browned and the center springs back when lightly pressed. Cool completely before slicing. I’ve never tried making almond bars before, but your recipe looks so delicious that I’m gonna have to try. I bet it’s a great snack during work hours. Thank you for the recipe! Made these a few times now – and they’re so easy to make, and a great pay-off. I admit to adding 100g chopped white chocolate too.